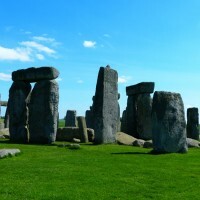 Oldbury Tours provide full and half day tours of the Stonehenge region. 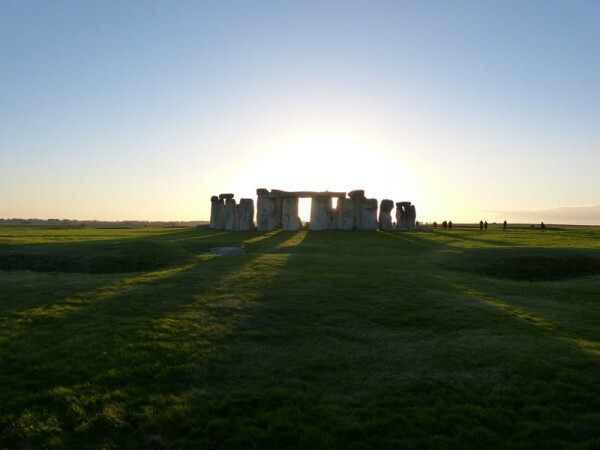 To enquire about a tour with our local, expert Stonehenge guide please click on the ‘Enquire’ button or follow the link here. On this page we have given a brief description of Stonehenge. This includes a concise account of the monument’s complicated construction history and a couple of the theories surrounding the fascinating area. There is obviously much more to tell and you will no doubt have many questions. This is why we recommend a Stonehenge guide. 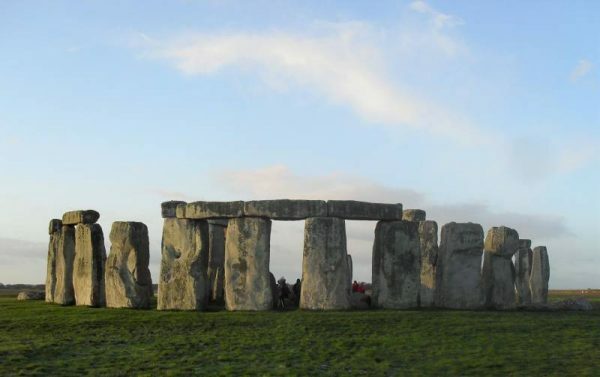 Stonehenge is an iconic monument and probably the most famous of Britain’s landmarks. Yet even after 400 years of excavation there is still much mystery surrounding the ancient monument regarding its purpose, manner of construction, who exactly built it and much else. In addition to these uncertainties its known story is even more complicated than most people realise. Hiring an expert Stonehenge guide greatly enhances your understanding of the monument and adds to your enjoyment of the day. 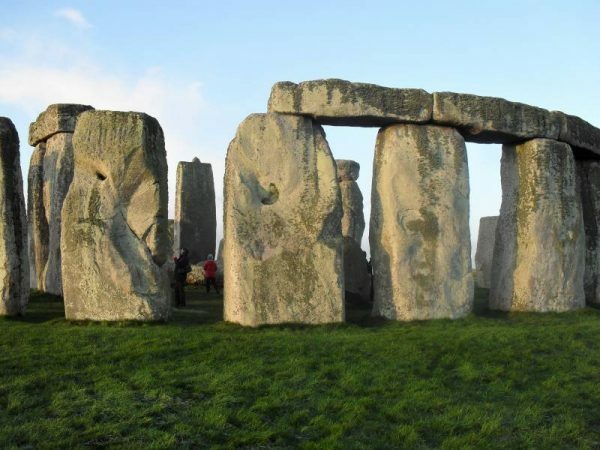 From its beginnings in about 3000 BC Stonehenge has undergone several phases of construction and reconstruction with many stones being reused and reconfigured. New stones and features were added to the site during 1500 years of activity. The ruins we see today are what remains of the final structure in the series, what came to be the ‘last great stone monument of the Megalithic* age’ (Parker Pearson 2012,). There are disagreements among archaeologists regarding which of the Stonehenge stones belong to which periods so for simplicity I am going to stick with Mike Parker Pearson’s chronology. In his book Stonehenge – Exploring The Greatest Stone Age Mystery Parker Pearson incorporates the most recent scientific research made during the Stonehenge Riverside Project (2003-2009). If you would like to see all the radiocarbon determinations (dates) gained from the many excavations at Stonehenge then have a look at Mike Pitts’ 2001 title Hengeworld. Here you will discover the reason for the different interpretations. *Megalithic literally means ‘massive stone’ and refers to the type of monument building that incorporated such megaliths during the Neolithic period across Europe. These include the huge stone structures of Carnac in northern France and the many tombs and stone circles in Britain and Ireland. Similarly Neolithic means ‘new stone’ to differentiate it from the Mesolithic ‘middle stone’ and Paleolithic ‘old stone’ ages, the Neolithic age being the most recent when people first settled down and started farming in stead of following the hunter-gatherer life style of the previous stone ages. 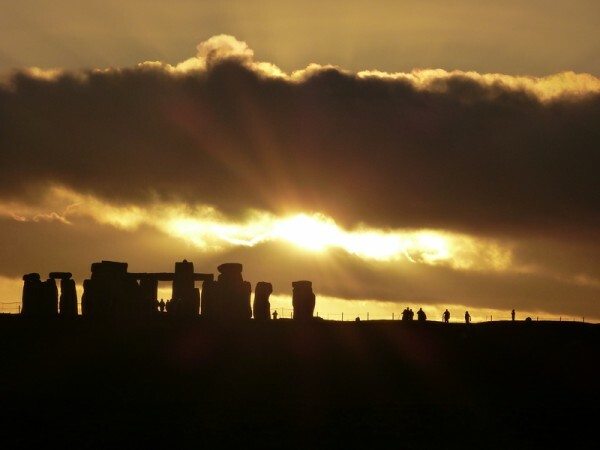 The first construction work on the site of Stonehenge that archaeologists are aware of began in about 3000BC. This original monument was a circular bank and external ditch cut into the chalk bedrock. At least 3 entrances led into its interior by way of causeways left uncut across the ditch with corresponding gaps in the bank. Within this circuit 56 large pits were dug equally spaced in a circle just inside and following the line of the bank. These 56 pits are known as the X holes or Aubrey holes after John Aubrey a 17th century antiquarian. And it is this earliest monument that is the basis for the O of Oldbury Tours’ logo representing a side to the prehistoric monuments of Wiltshire little known to the general public. There is much debate among archaeologists over what if anything the Aubrey holes originally contained, some say posts others stones. 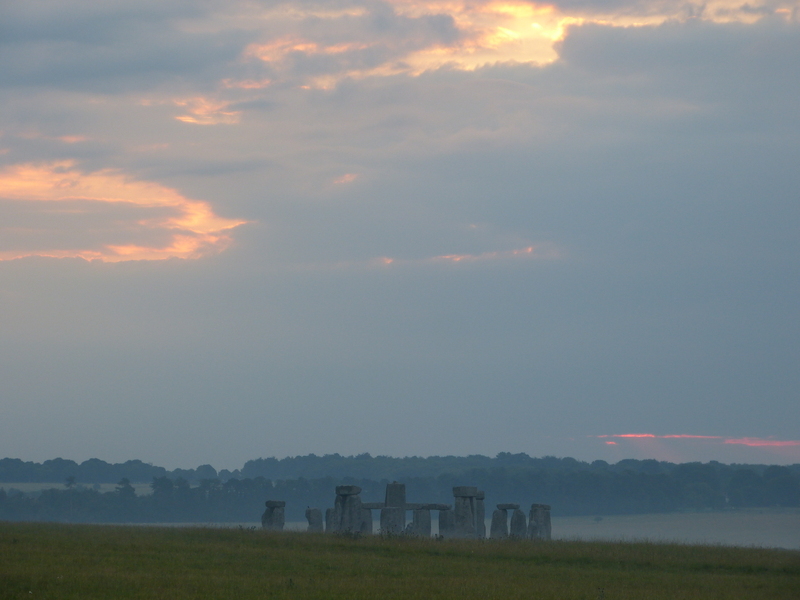 Mike Parker Pearson, who has led some of the most recent work within the henge is certain that they held the first stones on the site which ‘formed a circle right at the beginning of Stonehenge’s sequence’ (Parker Pearson 2012). According to him these stones were the famous bluestones originating in the Preseli Hills in Pembrokeshire, West Wales 180 miles away to the west (coincidentally also the birthplace of my wife, Sian). These stones were later reused in the structure we see today. Others such as Timothy Darvill and Mike Pitts are equally positive that if the Aubrey Holes held anything at all they held large timber posts. There certainly were many timber posts erected at other areas within the Stonehenge site at about this time. Whatever the truth, however, these holes were soon filled in, any stones or posts removed. The majority then had cremation burials placed into them during the following 500 years. Thirty four of the fifty six holes have been excavated since the 1920s and at least twenty four of these contained human remains. Added to other burials found within the area enclosed by the original ditch (only the eastern half of which has been excavated by the way) estimates for the number of people laid to rest here range as high as 240 individuals. This makes Stonehenge ‘Britain’s largest cemetery from the 3rd millennium BC’: Mike Parker Pearson again (2012). Sometime between 2620 and 2480 BC, i.e. 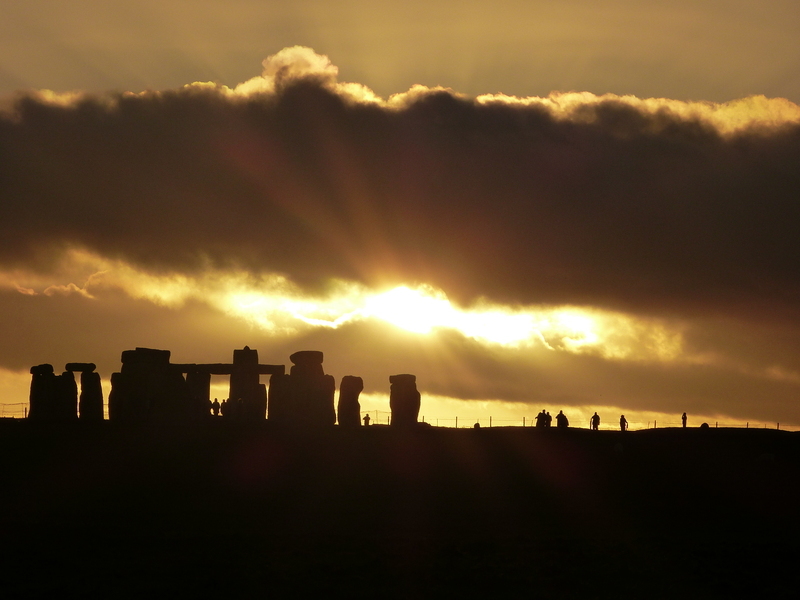 some 500 years after the first activity, there was an enormous change at Stonehenge. At this time massive sarsen stones, some of which weigh over 35 tons, were incorporated into the monument. 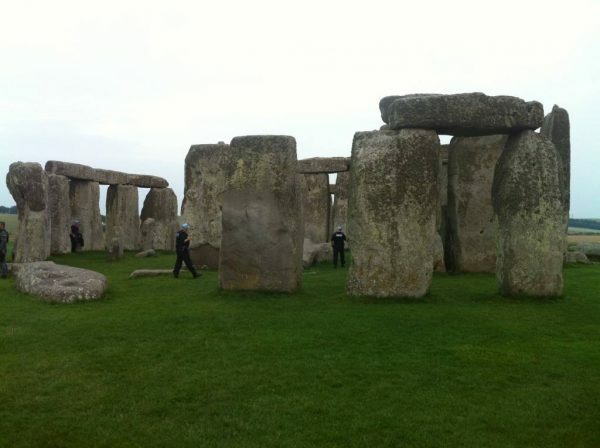 These are the huge stones, some of which weigh over 35 tonnes, that people are so familiar with today. They were probably dragged to the site from near my childhood home in the Marlborough Downs over 19 miles to the north. The first stones to go up were probably the five gigantic trilithons, three-stone settings such as the one pictured here in May. They were configured in a ‘horseshoe’ pattern astride the main axis with the open end towards the north east and the midsummer sunrise. This construction was then surrounded by the circle of thirty sarsens capped by a continuous lintel of a further thirty stones, a total of seventy five sarsen stones constituting Parker Pearson’s Second Stage. As many as eighty Welsh bluestones were erected at the site from this time. The sarsens, being so huge, then remained static but the much smaller bluestones (still up to four tons in weight however) were moved around within the monument on at least one subsequent occasion. The final configuration had an innermost horseshoe of bluestones inside the sarsen horseshoe of trilithons. These were surrounded first by a complete circle of bluestones and then outermost the complete circle of sarsens with their lintels. To further complicate matters other stones are also present and were probably erected during the sarsen stage, including the evocatively named Slaughter and Altar Stones, the unusually titled Heel Stone and the four Station Stones. These require considerable explanation so why not come to Wiltshire and let me show you around? This is a question that is often asked and no-one can be certain of the answer. There are however a couple of facts. Sockets known to us as the Y and Z holes have been discovered dug as late as 1680-1520BC nearly 1500 years after the first activity. These were perhaps created to hold stones in two further concentric rings outside the other four rings. They were never filled and the site soon started to fall into disrepair. Having started as a fairly simple monument and of a type not that uncommon at the time, with similar examples of circular Neolithic monuments being known across Britain, over time Stonehenge became an extraordinary, complicated and unique monument that is deservedly one of the most famous landmarks of the British Isles. As Timothy Darvill says ‘there was simply nothing else in north-west Europe quite like it’ (Darvill 2006). One other aspect that makes Stonehenge unique is the way the stones were handled. It is not just that the stones were dragged here (and they were from at least some distance) and then erected, but they were also treated as if made of wood! That is to say they were carved, or dressed, before being joined together using methods familiar to carpentry. 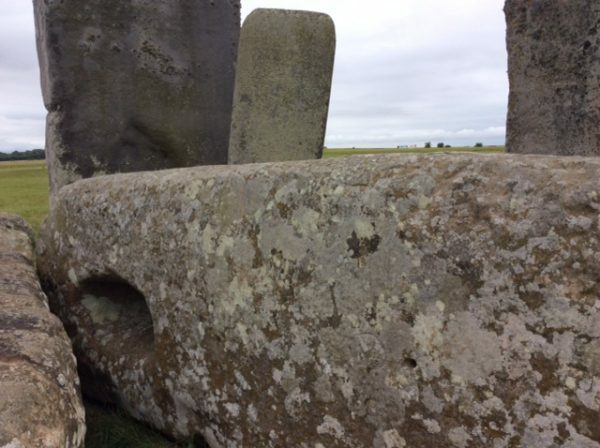 All the upright Sarsens, in both the full circle and the inner horseshoe of truly massive stones were finished with a tenon – a protruding knob – on top. The lintels that were then raised on top of them had corresponding mortice holes carved in their undersides so that there was a perfect fit. Furthermore the lintels have a tongue and a groove on opposite ends so that they fitted perfectly with their neighbours on either side and were curved so as to complete a perfect and smooth circle. There were several contemporary monuments within the UNESCO world heritage site that resembled Stonehenge but were constructed out of wood. Less than two miles to the north east of Stonehenge are the sites of three of them. Most famously Woodhenge was a circular structure of six concentric circles of huge timber posts. But also discovered within Durrington Walls was a similar structure that almost exactly mirrors the floor plan of Stonehenge. Were these wooden monuments for the use of the living then? And Stonehenge for all the ancestors buried there? This is what the Stonehenge Riverside Project directors believe. This was a truly extraordinary and enormous undertaking and one that must have been born of a very convincing belief. I very much like the idea suggested by many archaeologists that Stonehenge was a symbol of unification, kinsfolk perhaps bringing their ancestral stones from Wales and from north Wiltshire, 2 separate peoples coming together here on Salisbury plain in a spectacular display of solidarity. However without any proof of this some geologists still hold the rather less romantic opinion that the stones were moved by glacial activity not human endeavour. 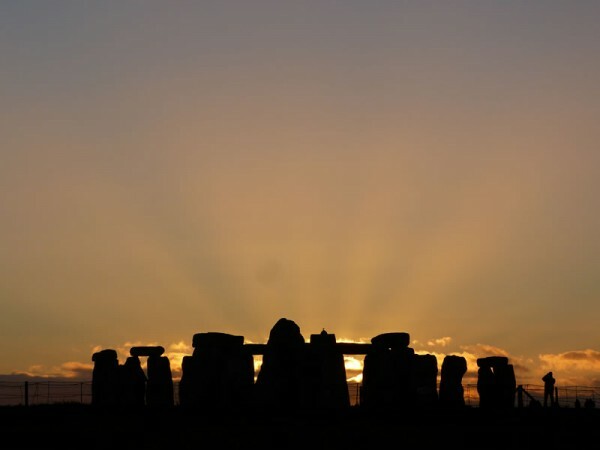 One aspect of the monument that is acknowledged by most is that Stonehenge was deliberately aligned on celestial events. The axis around which the stone settings were erected and which runs through the centre of the largest Sarsen trilithon of the horseshoe is aligned with midsummer sunrise in one direction and midwinter sunset in the other, the latter now being considered to be the more significant. After all when the winter solstice had passed and the days began to lengthen this was presumably a time of celebration for the early farmers heralding a time of rebirth when the land would once again soon become fertile for their crops. Contrary to popular belief Stonehenge is not a monument in isolation but is surrounded by other Neolithic* (new stone age: c.4000 – c.2400BC) and later Bronze Age (2400BC onwards) monuments. Most of these have a funerary context. For instance over six hundred Bronze Age round barrows or burial mounds are known in the immediate area along with some nineteen Neolithic Long Barrows. There are also two Cursus Monuments (whose purpose is unknown) including the 1.7 mile long Stonehenge Cursus, several other enclosures and henges (circular bank and ditch earthworks), some of which have only recently been discovered, as well as standing stones and no-doubt a wealth of buried features yet to be found. 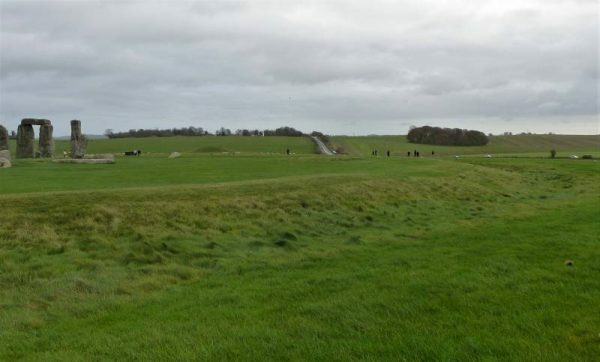 Other earthworks and monuments are visible in the landscape such as a 1.5 mile ‘Avenue’ leading from Stonehenge to the river Avon and the site of Woodhenge. Perhaps most excitingly a huge occupation site has recently been verified within the vast henge of Durrington Walls nearly 2 miles to the North East. The remaining circular bank that once surrounded the site is all that is visible but the scale is similar to that of Avebury. Dating from the time of Stonehenge’s main megalithic construction, it is almost certainly where the builders lived. 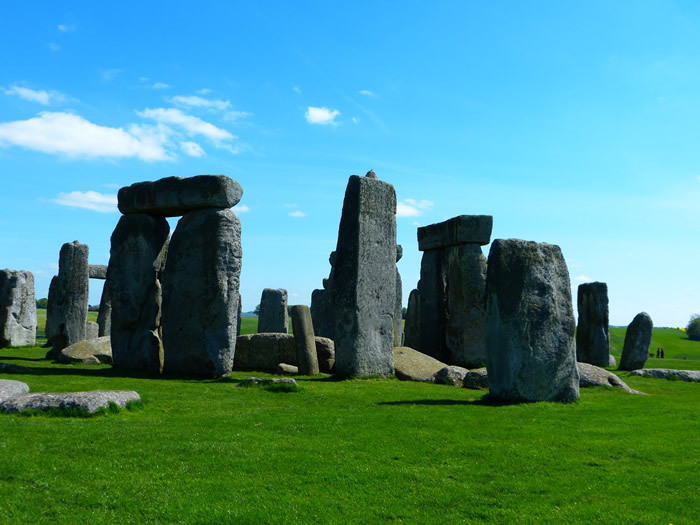 Your Stonehenge guide will show you all of these monuments surrounding Stonehenge in your day tour. Grave robbers, antiquarians and archaeologists. Timothy Darvill has said that ‘the Stonehenge landscape represents in microcosm the history of archaeology generally’ (Darvill 2006). By this he means that Stonehenge was one of the first places in Britain to attract the attention of people with an interest in the past (and a spade). It has continued to be a major focus for antiquarians and archaeologists ever since. As archaeology developed from little more than upper-class grave-robbing in the 17th century into a fully fledged science in the 20th each age has brought its new techniques, theories and agendas to bear on Stonehenge and its surroundings. 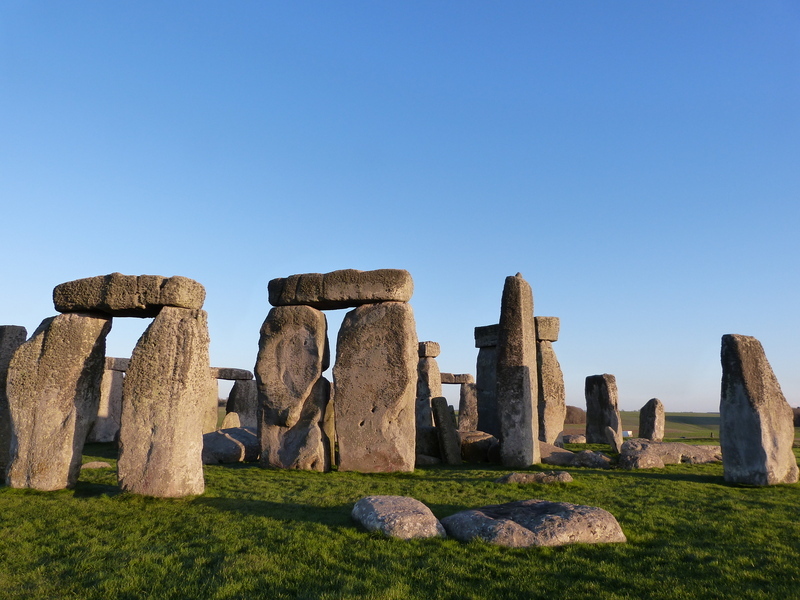 The history of archaeology at Stonehenge begins with the Duke of Buckingham in 1620 when he got his men to dig a huge pit in the middle of the circle of stones essentially looking for treasure. He was disappointed to find nothing more, as Darvill quotes in his book Stonehenge – The Biography of a Landscape, than animal skulls and horns, ‘charcoal, arrowheads, rusty armour and rotten bones’. All of this would of course hold enormous interest for modern day archaeologists but was not what the Duke was hoping to find. Since that time each generation has approached the task of excavating Stonehenge in progressively more methodical ways, searching not so much for treasure but for answers. Reverence for those buried here has also come on apace. At the beginning of the 19th century the antiquarian William Cunnington maintained that human remains buried in the area survived better the lower down they were found in the chalk bedrock. He tested his theory by seeing how far they could be thrown without breaking, not something that arcaheology students are encouraged to attempt these days! The midwinter sun setting behind Stonehenge from the vantage point of the Stonehenge Avenue creating a striking corona of sun rays. 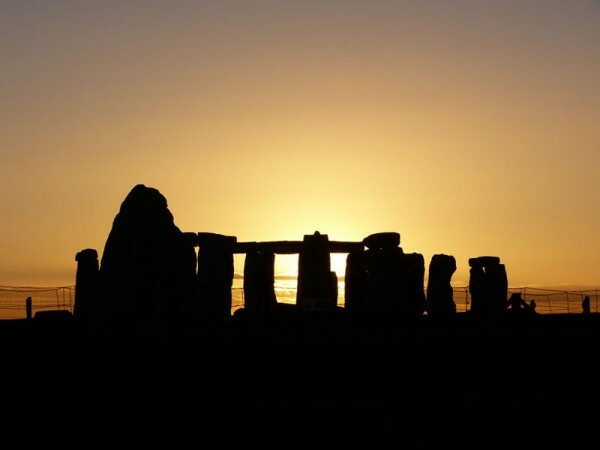 Please enquire about a tour to include Stonehenge via the ‘Enquire’ button below or for more information click on ‘Home’ for our home page, ‘About’ for our story or ‘Tours’ for suggested itineraries with a Stonehenge guide. Read more about the Stonehenge area here. 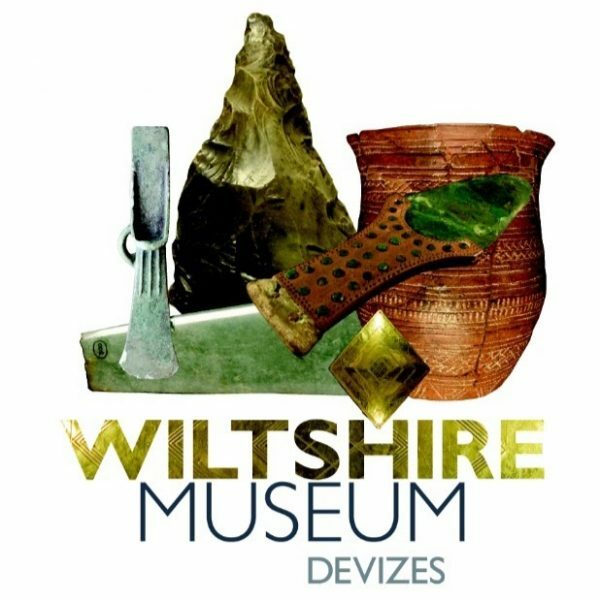 On a full or some half day tours it is possible to fit in 40 minutes at the Wiltshire Museum in Devizes with your Avebury and Stonehenge guide. They have the most important collection of Neolithic and Bronze Age artefacts in the UK. Their fantastic new displays include many of the remains and finds from the Stonehenge and Avebury area. These include the extraordinary gold treasures that came out of Bush Barrow overlooking Stonehenge. Click on their logo to visit their website. 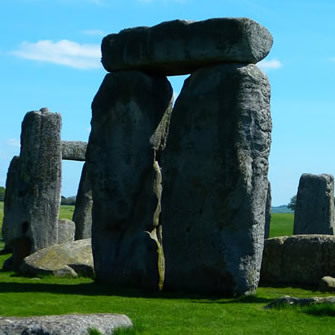 A visit to Stonehenge and Avebury should be on everyone’s bucket list and that was certainly the case when American president Barack Obama visited the UK for the NATO summit in September 2014. Just to keep it in the family my nephew was there on that day as part of the police protection force. 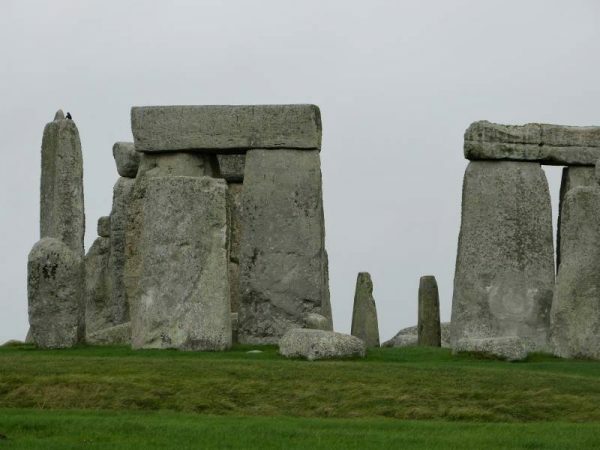 So when you are in the UK make sure you make your visit especially memorable by contacting Oldbury Tours and your Stonhenge guide.